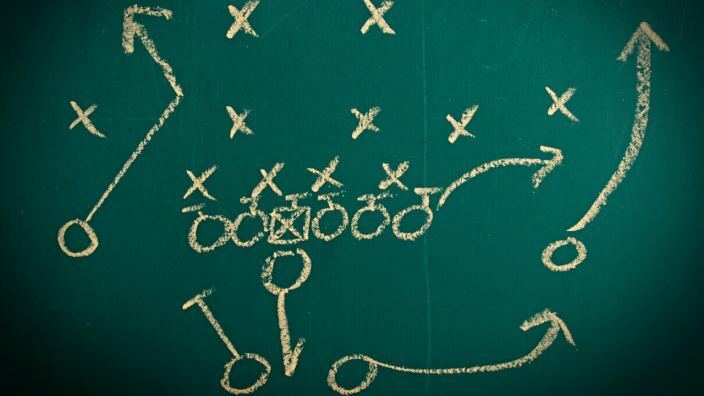 Laurel Sitton sees evangelism like football. An analogy she learned while part of an overseas mission, seeing evangelism like football is encouraging students to take courageous steps in sharing their faith with others. Often, people think evangelism means presenting the gospel cold and seeing someone trust Christ. As Laurel said, that doesn’t happen very often. It can be discouraging when the first (or second, third, and fourth…) attempts at starting a conversation seem to go nowhere, but it doesn’t mean the game’s over. Knowing they might not be able to always share the gospel the first time they talked with someone, they still value the progress they make, even if it is just one step further. “In Plus One conversations, it’s like the offense goes back out and slowly makes their way down the field getting first downs. So in one conversation you might be 70 yards or 50 yards from getting to share the gospel with your friend,” says Laurel. 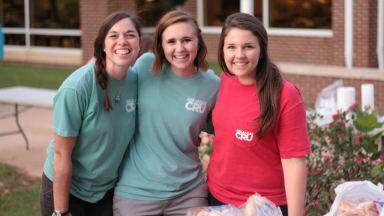 The students involved with Cru at the University of Arkansas frequently encourage each other as they pray for opportunities to talk about their faith with their classmates and friends, present the gospel clearly with them and see the Lord reveal Himself to them in His time. The students challenged each other to list 3-4 people on a card to remember to pray for them. Being intentional and encouraging each other helps them all keep eternity on their minds. As they pray for the people on their list, they keep their heads in the game and take opportunities to share their faith when God brings them. Although Laurel, Katie, and the other Cru staff and students still engage in initiative evangelism, praying for people they already have relationships with just makes sense. “It broadens the vision of what evangelism looks like and translates it to what it will probably look like in the workplace,” says Laurel. As she prepares to graduate, Laurel’s habit of praying for people around her every day will help her continue to live missionally wherever she goes. Which people has God put in your life for whom you could begin praying? Like Laurel, you can make a short list and as you pray, look for opportunities to care for them and share about your faith with them. Learn more about sharing the gospel.